But rather, “ugly” is in! “Ugly” sweaters have become a major fashion statement on campus and off. Have you noticed? I’m sure you’ve seen them: they are the oversized, oddly-patterned, yet totally fashion-forward. 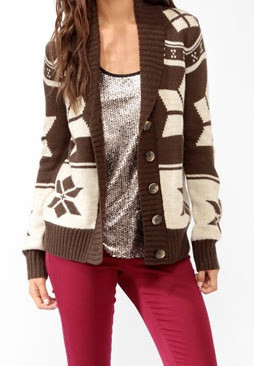 Sweaters can be worn over leggings or jeans with really any shoes from ballet flats to boots. 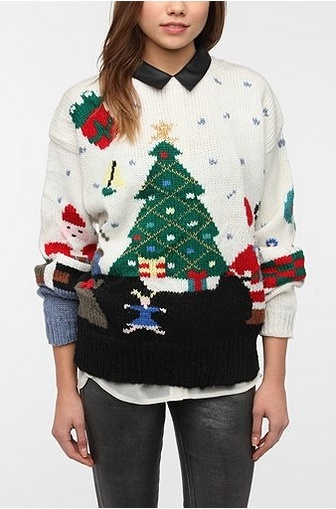 When wearing “ugly” sweaters, it’s all about combining your personality with that of the sweater. I recently purchased these two sweaters from Value Village, a second-hand store in St. Louis known for its countless rows of thrifty clothes. 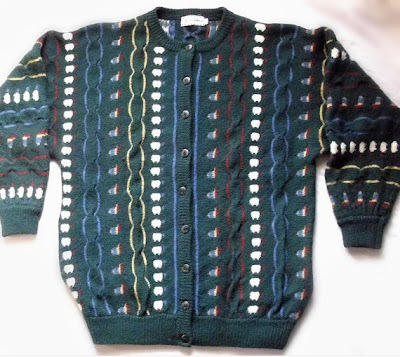 Purchasing sweaters from a thrift store is just one of the possible methods of obtaining these rare, hot commodities. The perks of buying these pieces from a thrift store: bargain points. You only spend $2 - $10 on something trendy and fashionable. When you clean it up and dress it up, you can impress people by saying you bought it at a thrift store. They could have never known a piece like that could have had so much potential before they saw it on you. It can serve as a source of pride. It was you that searched through the racks and found the perfect combination of unique, “ugly” and cute. And it is you that is now being asked about your favorite places to shop so that others can copy your look! 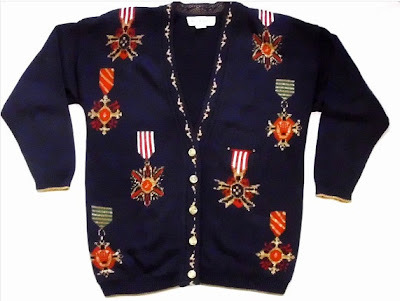 If the thrift store scene isn’t for you, there are other outlets from which to purchase these so-called “ugly” sweaters. Retailers like Forever21 and Urban Outfitters each have their own take on these sweaters. Etsy.com also has a section entitled “Tacky Time Bomb” for those of you who are confident online shoppers and in need of ugly sweaters. If you’re looking for a more refined, professional-looking sweater, shop at one of these stores! They do the work for you! 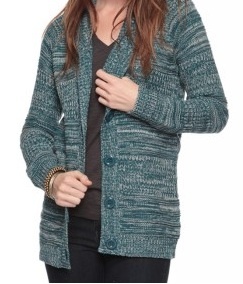 Buying sweaters from a retail store is another source for this chic style. The perks of buying these “ugly” sweaters from a retail outlet: classy points. While you spend more, between $20 – $40 versus $2, you don’t have to do any of the work. Your keen eye must simply pick the sweater off the organized rack, and then you’re ready to rock it. There’s no hassle. You don’t have to examine every single item on a rack, looking for hidden potential, and you don’t have to worry about smelling like the previous owner. You can easily recommend your source to others when asked where you got your classy, “ugly” sweater. The best part about buying “ugly” sweaters is that the line between the guys’ rack and the girls’ rack is blurred! 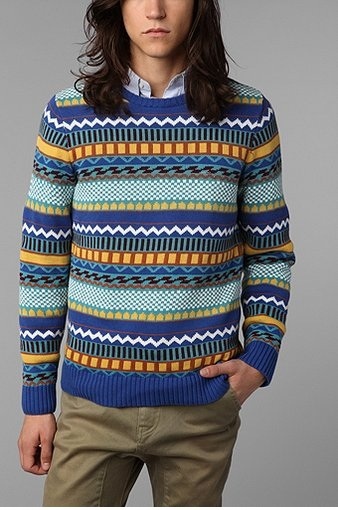 All that matters when buying one of these sweaters is if you can pull it off. Put the sweater on and imagine yourself wearing it at least two times. If this can be done, take it to the register because you just found yourself the perfect “ugly” sweater, the perfect combination of unconventional and cute.